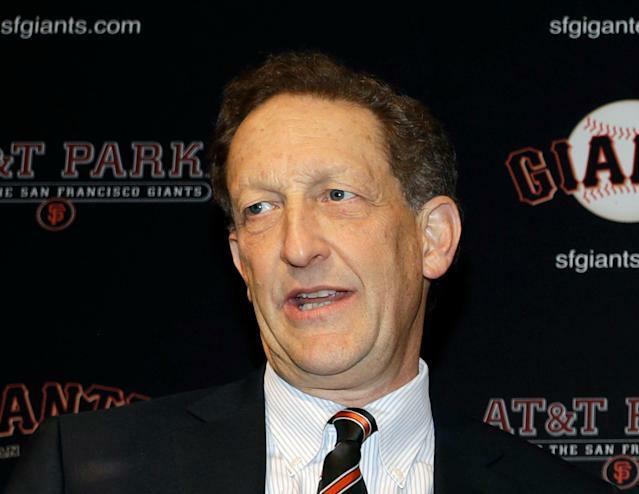 San Francisco Giants CEO Larry Baer will not face charges over a public physical altercation with his wife caught on video on March 1. The San Francisco district attorney’s office announced on Tuesday that it is declining to press charges. “After a careful review of the relevant evidence, including multiple videos, statements from several witnesses and the parties themselves, the evidence does not support filing criminal charges,” district attorney’s office spokesman Alex Bastian said, according to the San Francisco Chronicle. Baer, who is on an indefinite leave from the team, still could face punishment from Major League Baseball. The video obtained by TMZ shows Baer attempting to grab a cellphone from his wife Pamela, knocking her to the ground from her chair in the process. Pamela is heard screaming “oh my god, no” in the video. The Chronicle reports that prosecutors viewed a 25-minute-long video from nearby security footage of a verbal argument between the two that led to the physical altercation. Prosecutors also interviewed witnesses and the Baers as part of the investigation that led them to decline to press charges. The Baers released a joint statement through the Giants after the video went public addressing the altercation. Larry and Pamela Baer then each released individual statements. Pamela’s statement addressed a foot injury she said she suffered prior to the altercation. The Chronicle reports that domestic violence advocates and San Francisco Mayor London Breed are pressuring MLB to take punitive action toward Baer.